The Auction Watch from last week was like a tiny fart that ended with a tiny bit of poo squeaking out; disappointment followed by mortification. It isn’t worth spending another second on it. The ebb-and-flow we used to see in prices has been replaced by an ebb-and-flow in quality listings. I mentioned it in a recent SUS, but the ebb-and-flow is varying levels of: (1) the members of the AOTW club; (2) good auctions; and (3) largely irrelevant auctions. Last week dripped in the latter, but M.U.S.C.L.E. collectors are seeing a rise in good auctions. Last week we saw a complete unused board game sell for $78.88. This week we see another almost unused part of the board game. 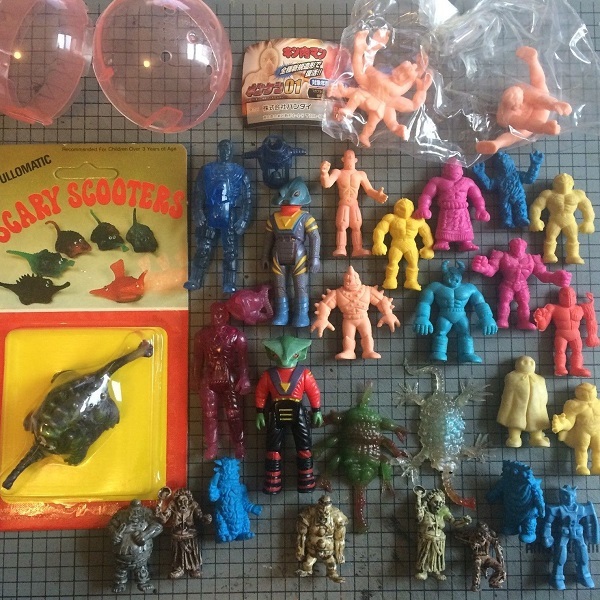 The first auction, 1983 M.U.S.C.L.E. Mega Match Game – NOT COMPLETE & NO Figures, is not a complete board game. It doesn’t have the figures. The spinner is missing. It does have an almost unused sticker sheet. The opening bid is $9.95. The shipping cost, for me, is $7.25. That is an total price of $17.20 for the sticker sheet. Admittedly, the game board is clean and looks to be in fine condition of an opened game box. Does anybody want to spend almost $20 for an almost unused sticker sheet? I think the answer might be, “Yes.” I wouldn’t mind having that sticker sheet. It’s better than my sticker sheet. I think $10 would be my absolute, all-in price limit. 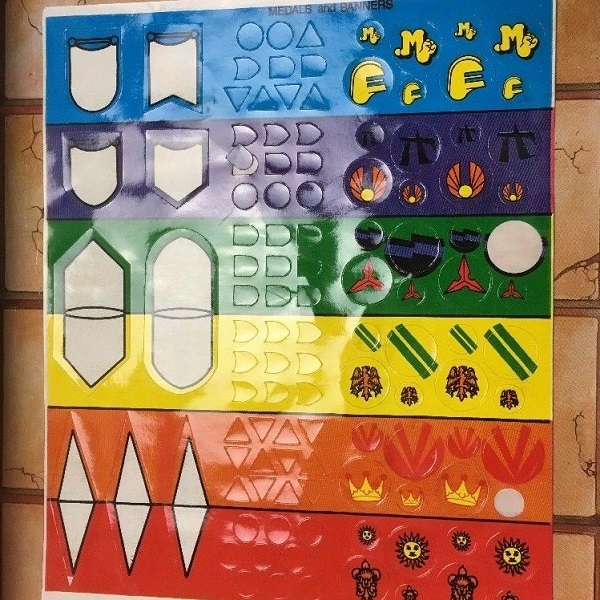 Maybe someone else would be willing to spend $20 to upgrade their sticker sheet. Not me. 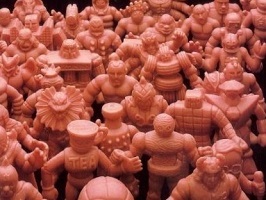 The second auction, Kinnikuman M.U.S.C.L.E. Men Vintage Figures Flesh Color Black King – Lot of Five, is returning to Auction Watch. The result from this group’s original listing was posted in AW #253. The opening bid of the figures has dropped to $2.95 and the BIN has dropped to $9.95. The BIN is still too high, but $2.95 was too good for me to ignore. I placed a bid. I wouldn’t mind spending $5.60 for a nice warped #84 and tweak. I find it hard to imagine the ceiling for this listing to be much higher. The people that would be interested in these figures wouldn’t be interested in paying much more than six dollars. Eight dollars, including shipping, is what I imagine to be the absolute top dollar price. I’m happy to see that this seller has dropped his price. Far too often we see sellers sit tight at absurd prices. This seller deserves some positive recognition. Can you imagine sitting tight on a stupid price? I can’t. 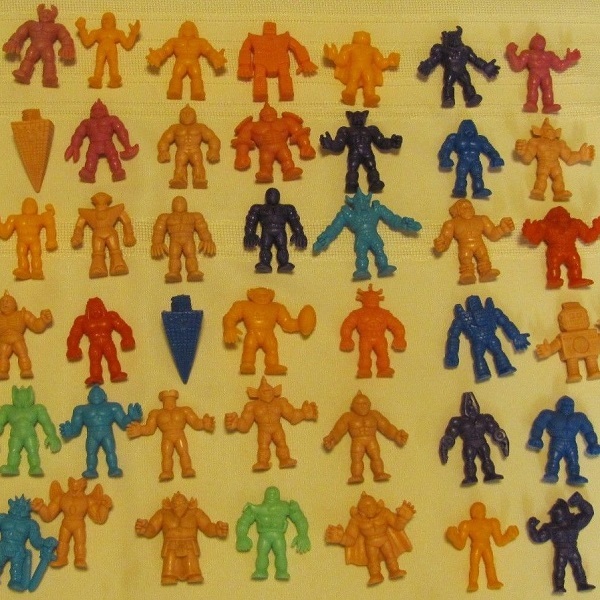 The third auction, (55) Vtg 80s M.U.S.C.L.E MEN Lot Kinnikuman Mattel Muscle Men Action Figures, is one I should probably ignore. I’m not really built that way. I’d rather be open and honest. I want that Red #139 figure. I don’t want any of the other Class A figures: Purple #2; Light Blue #157; and Salmon #165 and #167. That’s a tough spot as a Class A buyer. It is also the least sympathetic problem to have in the entire world. I don’t know the right best way, for me, to approach this lot. Wanting the Red #139 makes me realize I don’t really know how I want to approach the last eight figures that I need. Buying a big lot, filled with figures I don’t need, at a premium price doesn’t sound fun. Re-selling the extra figures doesn’t sound fun either. I need to find the best way to purchase the figures while still having fun. 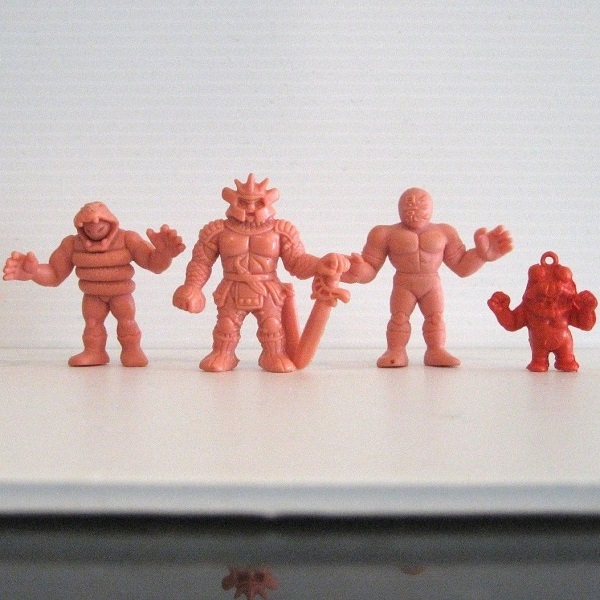 As I sit here, I’m only able to generate one solution – working with other M.U.S.C.L.E. collectors. Anybody want to chase this lot together? This entry was posted on Tuesday, July 3rd, 2018 and is filed under Auction Watch, UofM News. You can follow any responses to this entry through RSS 2.0. You can skip to the end and leave a response. Pinging is currently not allowed. real friendly place you got here partner, cant respond to a message? guess im not cool enough to collect little rubber guys with the popular kids, thanks for the warm welcome to your community. First, it was the 4th of July. Anything related to this website was NOT on my to-do list. Second, I don’t know you. I would have been hesitant to partner with you because I don’t know anything about you. Thankfully, when I checked the site today I learned everything I needed to know. I’ll respectfully decline your offer. Wow, yes Chad sits by his laptop 24/7 to respond. You think he might want to spend time off with his family on the 4th of July? Why? Bid all you want. It was weird to read “community” too. I’ve always thought of it as me trying to do something good, but…well, this gif below shows it better than I can explain it.